Netman,Remote Control Expert,Provides You with Professional Remote Access/Remote Control Freeware/Shareware to Save Time, Money and Energy for You,Thus to Improve Your Work Effiency. 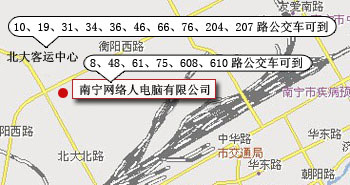 China Nanning Netman Computer Co., Ltd., founded in January, 2008, specializes in the field of remote technique and service. We have a group of experienced software and hardware developer, who are ready to be devoted to provide users at home and abroad with the latest, quickest and most economical high-tech products. The development of Netman costs a year. Netman adopts the superior compression algorithms, with data transmission being highly encrypted. Since it is NAT accessible by using UDP agreement, users can remote working anywhere with Netman. It's a P2P remote control software that is rare in the world. Netman is widely applied to remote file management, for it can greatly improve your working efficiency and upgrade the managerial standard. The software is currently available in 15 languages and has been released in 15 countries synchronously. One year after its publication, we have nearly 1,100,000 users all over the world.